Good. Trade paperback (US). Glued binding. 282 p. Contains: Illustrations, black & white. Learn how the role you play in the business world affects your ability to become financially free. 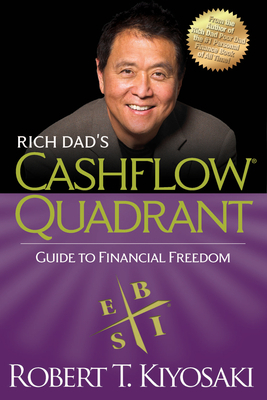 There are four types of people who make up the world of business but it's the business owners and the investors (not the employees and the self-employed) who can create great wealth by accelerating their cash flow through those assets. New. 2011. 2nd. Paperback. Learn how the role you play in the business world affects your ability to become financially free. There are four types of people who make up the world of business but it's the business owners and the investors (not the employees and the self-employed) who can create great wealth by accelerating their cash flow through those assets. Num Pages: 360 pages, black & white illustrations. BIC Classification: VSB. Category: (G) General (US: Trade). Dimension: 230 x 152 x 21. Weight in Grams: 368......We ship daily from our Bookshop. New. Trade paperback (US). Glued binding. 282 p. Contains: Illustrations, black & white.